Prime Minister Narendra Modi is visiting his parliamentary constituency Varanasi on a two-day visit from today. PM Modi will spend his birthday today interacting with children and youth in Varanasi. During his visit, the Prime Minister will inaugurate or lay the Foundation Stone for various development projects. Prime Minister Narendra Modi is visiting his parliamentary constituency Varanasi on a two-day visit on 17th September. PM Modi will spend his birthday interacting with children and youth in the ancient city of Varanasi. 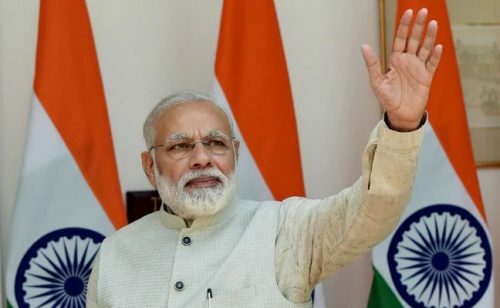 He will head directly for Narur village, where he will interact with children of a primary school who are being aided by the non-profit organisation “Room to Read.” Later, the Prime Minister will interact with students of Kashi Vidyapeeth as well. On the 18th, at BHU Amphitheatre, the Prime Minister will inaugurate or lay the Foundation Stone for various development projects, cumulatively worth more than Rs. 550 crore. These include the Integrated Power Development Scheme (IPDS) for Puraani Kashi and an Atal Incubation Centre at BHU. The foundation stone for Regional Ophthalmology Centre at Benares Hindu University will also be laid. These projects will help Varanasi to attain new heights, uniting modern infrastructure and development with the spiritualism of Kashi. Prime Minister Narendra Modi will be visiting a primary school at Narur during his Varanasi visit. Prime Minister Narendra Modi will be spending his birthday on 17th September in his parliamentary constituency of Varanasi. He will reach the ancient city of Kashi on his two-day visit on Monday. PM Modi will visit a primary school in Narur village in Varanasi district and will interact with school students. This school has smart classroom equipped with projector based learning devices. These innovative methods are used to make learning more interesting for children. The school students are enthusiastic about the prospect of meeting the Prime Minister. Apart from the smart classroom, a non-profit organisation, has also come out with illustrative books which are being used in this primary school, to teach children in an interesting way. Children are taught in specially designed classrooms in this school. ‘Room to Read’ organisation has made such arrangements in several schools across the country. 430 schools in Varanasi itself have classrooms designed with different types of books along with trained teachers to help improve the learning level of children. PM will come to this school to spend some time with the children and the innovative methods of learning will be on full display on his arrival.